TRY BEFORE YOU BUY - just download free Printer Pro Lite to check how our application works with your printer. Printer Pro lets you wirelessly print from the iPhone or iPad. It can print directly to many Wi-Fi printers or any printer attached to your Mac or PC via helper application installed on your computer. Once installed, Printer Pro appears in the "Open In..." list on your device. This lets you print email attachments from Mail, documents from PDF Expert and many other applications on your iPhone or iPad that support this function. I've read several negative reviews & I think several of them miss the point that the purpose of this app is to provide an alternative to AirPrint, not a replacement for it. 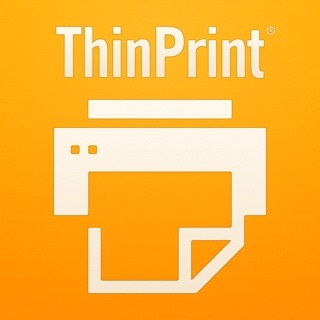 If you have an AirPrint enabled printer, then this app really is not for you: it does not buy you anything & can't handle a few cases that AirPrint usually does (more on that below), The point is that for us poor folks who don't want to go out & buy a new AirPrint model printer just to allow occasional printing from an iPhone - this app works great! My reason for giving it 4 stars is that it does miss one feature normally found in PC based applications like PDF Creator: it frequently fails to print a Web document if the Web page that fetched it is secured in some way (e.g. https://). Therefore it usually doesn't let me print things such as credit card statements. Also, the negative reviews are quite correct that trying to print out an email from this app appears to be pretty much impossible. But if one understands these limitations, the app really does perform as advertised. Best of the best. Finally an app that is More than it says. I have an old brother printer, usb connected to my windows computer. I love the old printer as it prints only in black with a toner cartridge that last and last. The newer printers use too much ink, will stop printing when a company says your low on ink, and you get this with many air printers. I decide when I am low on ink. Anyway, with the clipboard built into the pro version, nothing is impossible to print. Emails, photos, even apple's "Pages" program files, and spread sheets, print flawlessly. My printer was found right away in the free app and so I purchased the pro. It works better then best. Instructions are simple, detailed, and will have you printing anything in minutes. Wish you the best. Not gonna spend money on an air printer that dictates (most companies) when my ink is low and stops me from printing when the prints are still coming out perfect. I own the printer, and now, I own this excellent app.